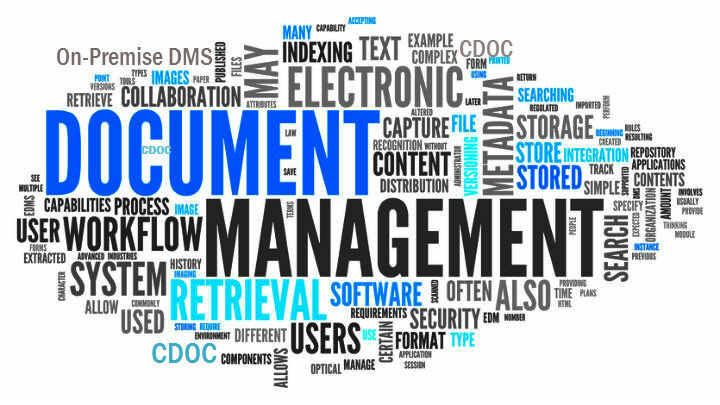 CDOC On-Premise document management system is that you are always in control of your system and not relying on anyone else to keep it up and running. Your system is not dependent on the internet and also if your online connection goes down, you still have access to all your documents since it is hosted in the local environment. IT support may be extra, and you'll need to bring your own policy to set up high availability and the backup systems. Flexibility to choose hardware and software.